BCA is a world leading provider of independent investment research. Since 1949, the firm has supported its clients in making better investment decisions through the delivery of leading-edge economic analysis and comprehensive investment strategy research. BCA provides its services to financial professionals across six continents through a wide range of products, services, and meetings. The firm maintains a head office in Montreal, with local offices in London, New York, San Francisco, Hong Kong, Sydney, Cape Town and São Paulo. A digital platform that bridges the gap between strategy research and the investment decision-making process. Harnessing the power of interactive charts, the product delivers the power to spot trends, uncover correlations and identify actionable investment opportunities. Strategic investment ideas for China, Hong Kong and Taiwan along with a big picture overview of the economic and financial outlook for the greater-China region. An actionable assessment of the expected direction for commodity and energy prices, equities and currencies. 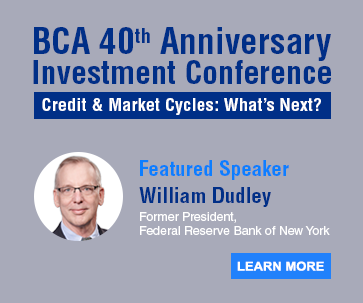 This service offers several research segments, including five short daily research pieces which focus on trends expected to impact the market outlook, Inside BCA, and interactive features with our strategists. In-depth thematic research to identify investment opportunities in emerging markets equities, currencies, credit and domestic bond markets across 20 countries. Applies BCA's top-down approach to bottom-up stock picking. The product uses a variety of quantitative metrics to rank individual stocks and presents this information in an easy-to-use web application. Investment strategy and forecasts for all asset classes in the entire Euro area, U.K., Switzerland and Scandinavia. Forecasts, trading recommendations and technical indicators that highlight intermediate and primary trends for all major currencies. Evaluates the risks posed and opportunities presented by geopolitical developments as well as their impact on longer term investment trends. Filtered content and premium asset allocation strategy; a primary goal of the service is to identify optimal risk/reward trade-offs in the context of portfolio construction for multi-asset portfolios. 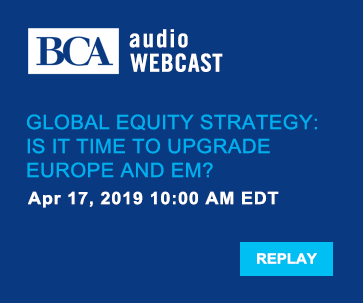 Global ETF Strategy brings together BCA's renowned global macroeconomic framework with proven quantitative models and proprietary analytics to connect the dots from analysis to actionable ETF investment strategies. The service is delivered through a web-based platform giving you access to in-depth research and the latest ETF analytics. Clear asset allocation, duration advice and specific trading ideas for the developed countries across all bond sectors. Strategic insight about the major intermediate and cyclical trends in the equity, interest rate and currency markets of major global economies. Clear asset allocation, duration advice and specific trading ideas for all of the major fixed income asset classes including corporate bond sectors. Comprehensive cyclical sector and industry group allocation advice with trading recommendations. A concise view of the expected direction in the U.S. financial markets, an assessment of risk and a recommended investment strategy. Forecast and analysis of trends in major investment markets, with particular emphasis on equities, business conditions, inflationary trends, interest rates, gold and the dollar.